After months – no, years – of concepts, hints, leaks and test mules being spotted at the Nurburgring, the wait is over. 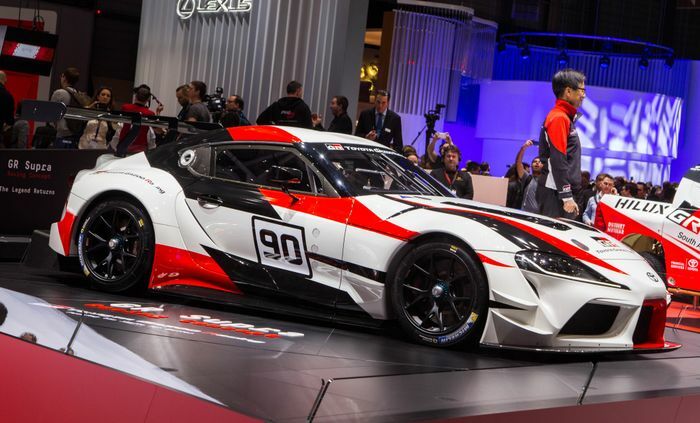 The new Toyota Supra is here at last. Sort of. 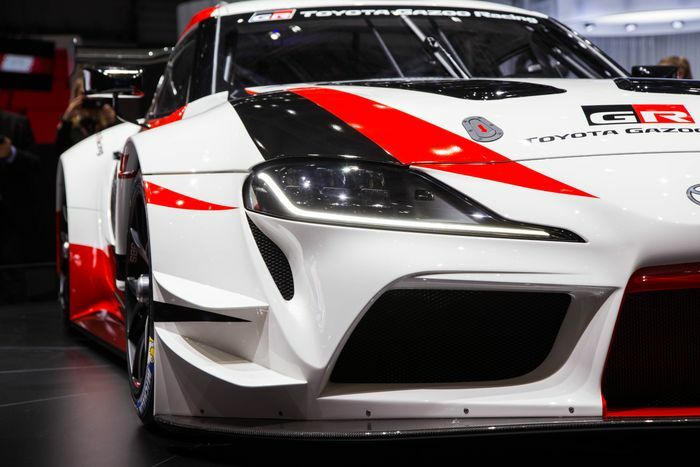 It’s technically still a concept, but wow, it’s pretty - and the Supra name is confirmed. 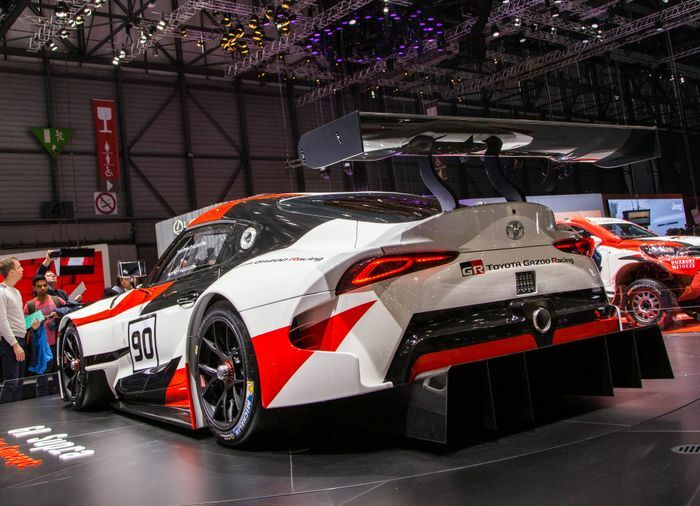 This heavily-be-winged Gazoo Racing Supra appeared during Toyota’s Geneva Motor Show press conference, but frustratingly the company gave absolutely no information about what powers it. We can confirm that the concept is 4574mm long, 2048mm wide and just 1230mm tall, with in-house lowering springs, new dampers and BBS wheels wrapped in Michelin tyres. Brembo calipers grip large discs and the exhaust is a free-flowing track-spec item. 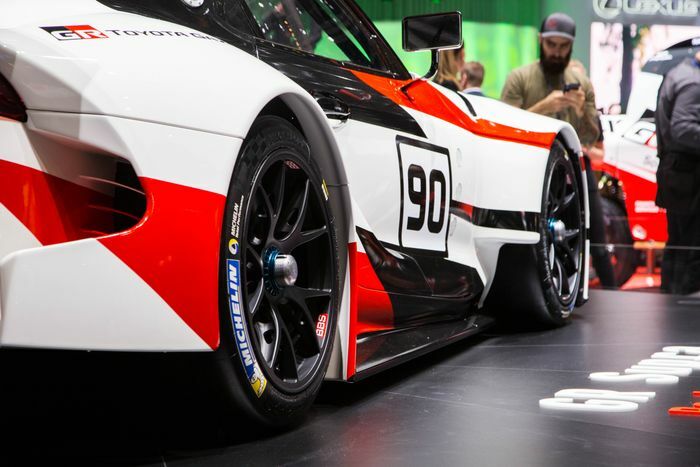 Much of the GR Supra Racing’s bodywork is lightweight composite material, while an OMP racing seat sits beneath a racing harness in the stripped-out cabin complete with fire extinguishers and a full roll cage. Everything is built to competition standard, suggesting the car might be going racing – whatever powers it. We can’t help but feel a bit short-changed by this reveal, which had been kept under an unusually strict information lockdown by the press office. The level of secrecy and seriousness involved really made us think there was a big announcement coming, but it looks like we might have to wait a bit longer. The original Supra only achieved mainstream desirability in the US and Europe after it had already been canned by Toyota HQ. It persevered into the 21st Century in Japan, but eventually fell foul of emissions laws. Today’s reveal is the culmination of a long and drawn-out saga that stretches back to 2014’s FT-1 concept, via plenty of testing footage on track and in the snow, an official teaser and an apparent magazine leak less than a month ago.